Demand Justice — through Our New Website! Demand Justice — through Our New Website! Demand Justice — through Our New Website! Contact Your Representatives through Our New Website! Today, September 11, 2017, we are launching the “Bobby McIlvaine World Trade Center Investigation Act” — and we need your help to do it. In addition to our news conference and our visit to Capitol Hill, it will take thousands of you to help ensure that every member of Congress learns about the Bobby McIlvaine Act this week. So if you’ll be near Washington, D.C., we invite you to come to the National Press Club for our 1:00 PM news conference (you can also help by sharing our media advisory). Then join us at the Capitol later in the afternoon and on September 12th as we deliver the Bobby McIlvaine package to all 535 members of Congress. Please email Congress@AE911Truth.org with “RSVP” in the subject line for details on when and where to meet. If you won’t be near Washington, D.C. — and that’s most of you — we encourage you to visit the beta test of our soon-to-be-finished new website and do two things: (1) Watch the embedded livestream of our 1:00 PM news conference. (2) Then use our handy email program to send a pre-written letter to your congressperson and senators. If you have enough time, you can even download the Bobby McIlvaine package and mail it to your three representatives, which we strongly encourage! 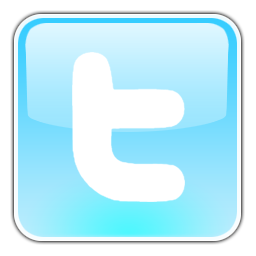 Our aim is to have at least 1,000 people contact their representatives by the end of the week. This way, we will put the Bobby McIlvaine Act on the radar of hundreds of congresspeople and senators during the time of year when it means the most. If you go with snail mail, please notify us at Congress@AE911Truth.org (for emails, we will know automatically how many are sent). Of course, we all know that these efforts won’t bear fruit immediately and that a congressional investigation is only one of several avenues we must pursue. But if we are going to obtain a new investigation, we must put our stake in the ground today and begin rallying support for a message that millions of people can believe in. Our first goal, then, is to have the Act introduced within one year. With your support, we’re confident we can get there. 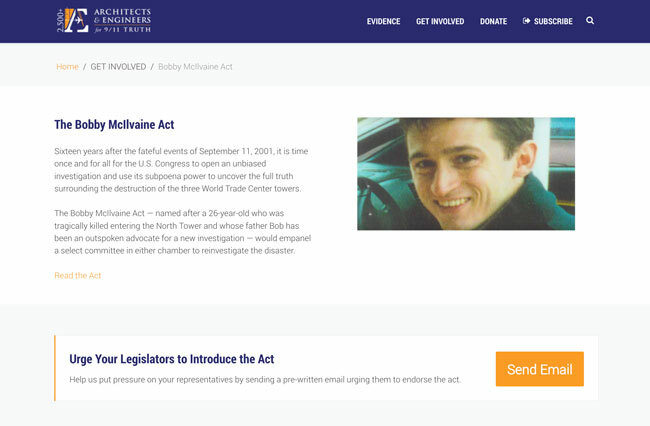 A Note about the New Website: As you’ll notice, the Bobby McIlvaine Act page is one of several pages we’re making available from our nearly-finished website. We’re a month or two away from unveiling the handsome new site in its entirety. So stay tuned! 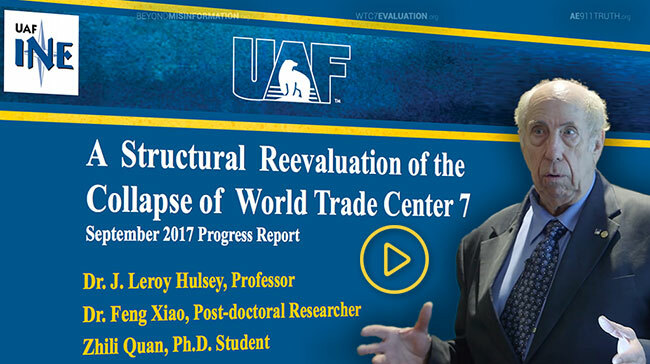 Last Wednesday, Dr. Leroy Hulsey gave his much-anticipated presentation on the findings and conclusions detailed in the September 2017 progress report of his team’s two-year study into the collapse of World Trade Center Building 7. A video of the presentation is now on AE911Truth’s YouTube channel, and the September 2017 progress report is on the University of Alaska Fairbanks’ website. The presentation and report describe a substantial amount of new analysis conducted by the UAF team over the past six months — analysis that demonstrates in great detail how NIST arrived at false conclusions by using inaccurate assumptions and omitting certain structural features from its WTC 7 model. Dr. Hulsey also explained that his team has conducted significant analysis of the building’s global response to various hypothetical local failures and that the findings of that analysis — which is nearing completion — will be detailed in the draft report, to be released later this fall. 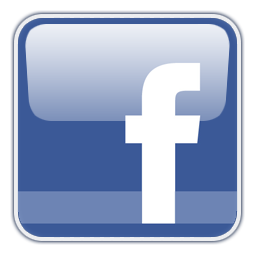 The study once again received positive coverage from the public radio station in Fairbanks. We believe the favorable local reception is a precursor to the kind of response Dr. Hulsey’s draft report, final report, and journal articles will eventually garner throughout the world. We would like to express our sincere thanks to the hundreds of dedicated activists who have supported the WTC 7 study since the beginning. For more information about our September 11th events, visit our Events page.